Nevada City Mayor Duane Strawser referring to Nevada County Arts Council, Executive Director, Eliza Tudor and other members of the development team. Tudor presenting the Cultural District to local politicians, business owners, and artists from both cities and the surrounding area. The City of Truckee also receiving a Cultural District Designation- Nevada County the only county to get two of the fourteen designations awarded statewide. 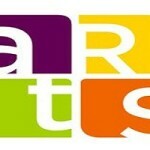 For more information about the Cultural Districts visit nevadacountyarts.org.